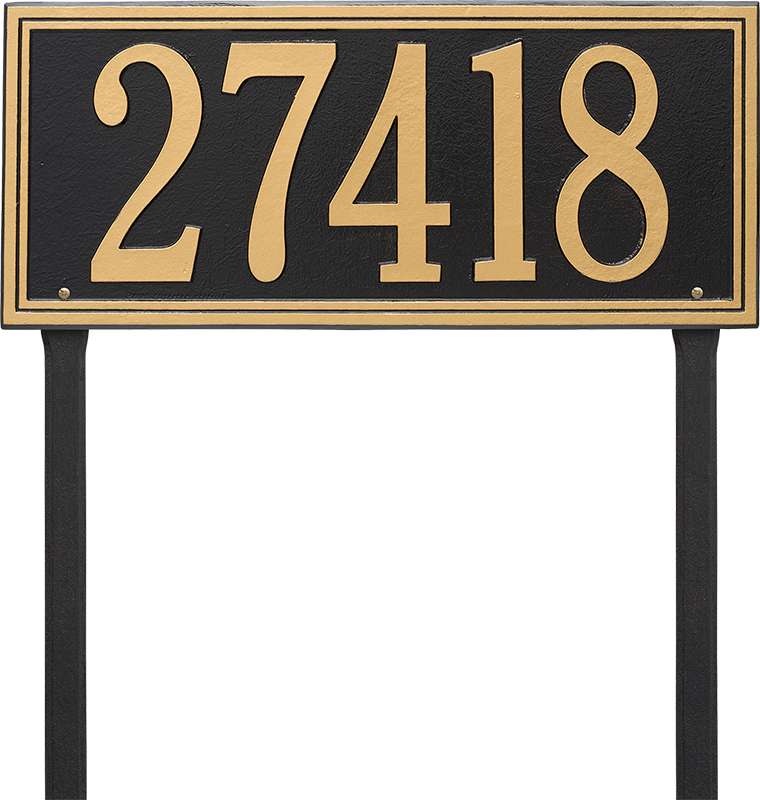 The Double Line Estate Lawn One Line Address Plaque has a classic frame design that will display your address in style. 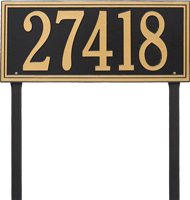 The address plaque is hand crafted from rust-free cast aluminum - guaranteeing excellent quality and durability. Max. 1 line of text, holds up to five, 7" characters.